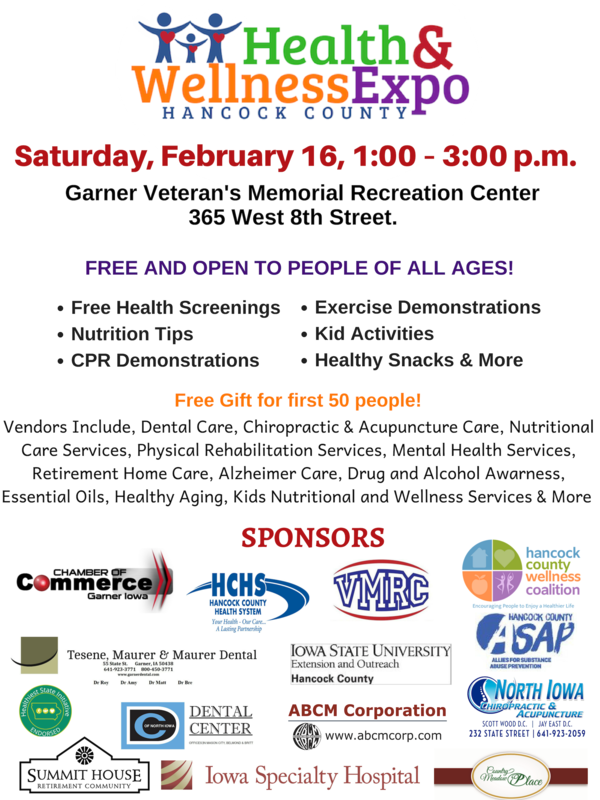 The Garner Chamber of Commerce has teamed up with the Hancock County Coalition to promote better health and wellness for Hancock County! Live Healthy Iowa is a program of the Iowa Sports Foundation, a non-profit organization located in Ames, Iowa. The program was created as a strategic health initiative to address the state's growing obesity problem. Live Healthy Iowa brings together friends, families, businesses and communities in team-based wellness challenges designed to promote positive lifestyle change.